Create bespoke telecoms protocol software stacks with the Saturn Eclipse ASN.1 Compiler. Abstract Syntax Notation One (ASN.1) is used in telecoms to standardise the way in which protocols are encoded and decoded. Saturn Eclipse offer various bespoke interfaces which ASN.1 can be utilised to develop telecoms protocols. 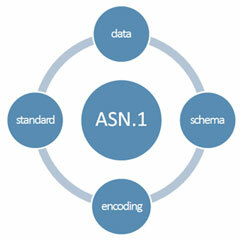 The ASN.1 compiler outputs a Java API that can be tailored to suit customer requirements.